If you'are the Samsung mobile user, you must know what is ODIN software. 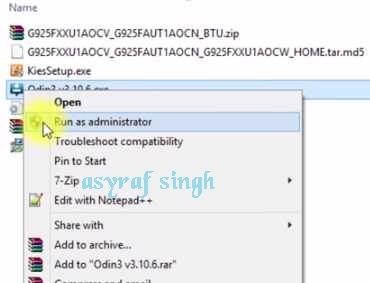 ODIN is a utility software developed and used internally by Samsung. So, by using ODIN software you can flash a firmware or stock ROM, even custom ROM to Android Samsung smartphone device. Besides that, ODIN also used to solve a bootloop or bricked Samsung device. To run ODIN you need a Windows OS based computer. This isn't officially Samsung guide, this is a general guide created by zona-android.net, So, if you interest to flash your Samsung device with this guide, you must do it by yourself, we didn't give any guarantee to your Samsung phone after applying the following guidelines. 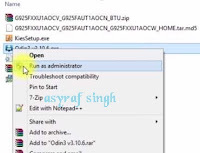 0 on: "Guide to Flash Samsung Firmware / Stock ROM With ODIN (Step by Step)"